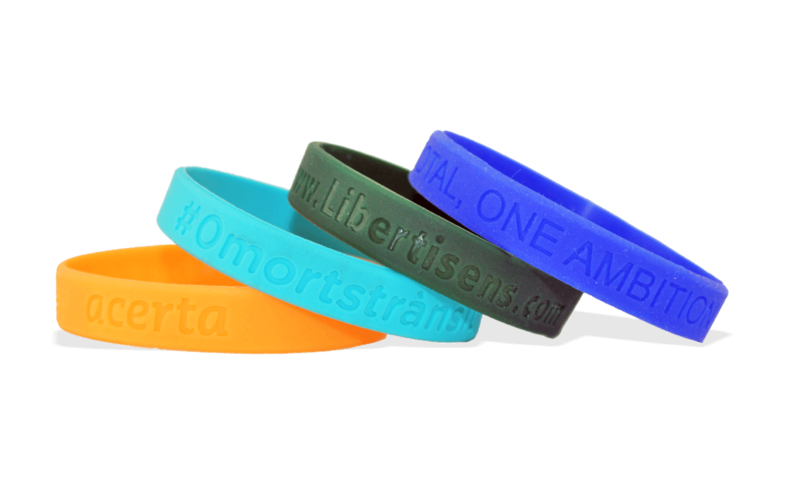 Silicone wristbands have become one of the most popular and stylish promotional accessories worn worldwide. Both inexpensive and highly customisable. Since they’re comfortable, durable, and waterproof, silicone wristbands can be worn by people of all ages, anytime and anywhere! Large choice of other options available on demand: Sectional colour, Marble Colour, Glitter Gold or Silver, Laser Serial numbering, Bar Code and QR Code, etc. Debossed silicone wristbands can be used for advertising, as fashion items, as fundraising tools or as seasonal passes. They’re comfortable, long lasting and waterproof. 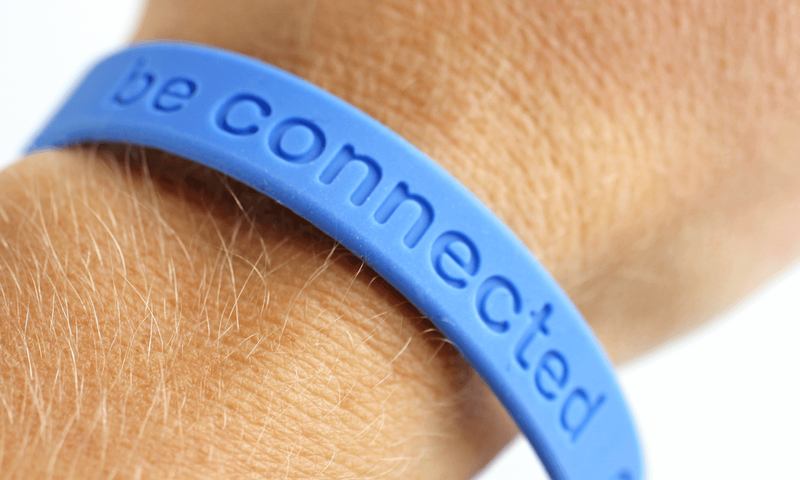 Your logo or text is engraved into the wristband surface, during the debossing process.